During the 2018 season, Daniel made two starts, throwing for 515 yards, three touchdowns and two interceptions. 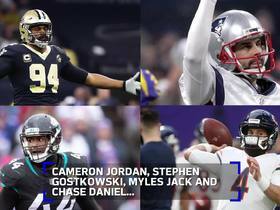 Analysis: Daniel is signed through 2019, and after he played well in a backup role by helping the team win one of his two starts, should continue to function as Mitchell Trubisky's backup for another year. When called upon, he had enough fantasy value to be useful in leagues that require two starting quarterbacks, and his value should be similar going forward. Daniel will return to the No. 2 quarterback gig Sunday against the Rams with Mitchell Trubisky (shoulder) officially cleared to start, Patrick Finley of the Chicago Sun-Times reports. 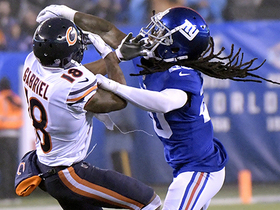 Daniel completed 26 of 39 passes for 285 yards with one touchdown and two interceptions in the Bears' 30-27 overtime loss to the Giants on Sunday. He also rushed four times for four yards and fumbled four times, recovering three. 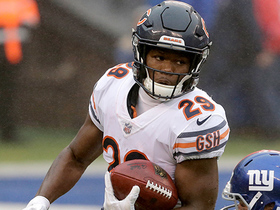 Daniel will make his second straight start Sunday against the Giants with Mitchell Trubisky (shoulder) inactive for the contest, Rich Campbell of the Chicago Tribune reports. Daniel is expected to draw his second consecutive start in Week 13's road matchup against the Giants, Mike Garafolo of NFL Network reports. 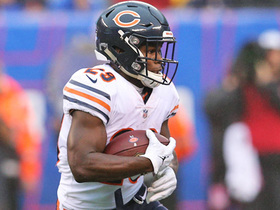 Analysis: Daniel filled in admirably for the injured Mitch Trubisky (shoulder) on Thanksgiving, picking up the victory and tossing two touchdown passes along the way. While Trubisky made his return to practice Wednesday on a limited basis, the team appears in line to take a conservative approach. Given that Trubisky is back at practice and seemingly could play if the stakes were higher, Week 13 could very well be Daniel's last start of the 2018 season. Daniel completed 27 of 37 passes for 230 yards with two touchdowns and no interceptions in the Bears' 23-16 win over the Lions on Thursday. 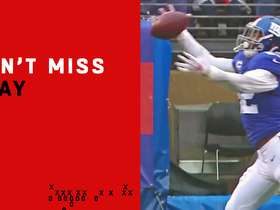 He also rushed four times for four yards and notched one reception for eight yards. 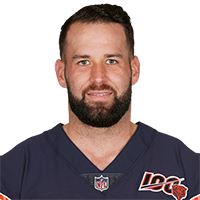 The Bears have officially tabbed Daniel as their starter for Thursday's game against the Lions, a source told Adam Schefter of ESPN. Daniel is expected to start under center Thursday against the Lions with Mitchell Trubisky (shoulder) listed as doubtful for the contest, Rich Campbell of the Chicago Tribune reports. 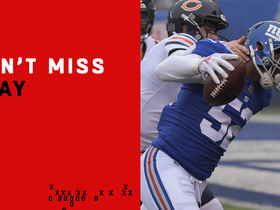 New York Giants linebacker Alec Ogletree makes a sensational one-handed snag for his second interception of the game. 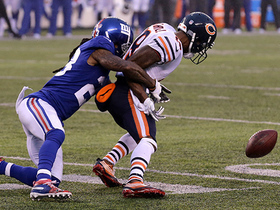 New York Giants linebacker Alec Ogletree intercepts Chicago Bears quarterback Chase Daniel for a touchdown. 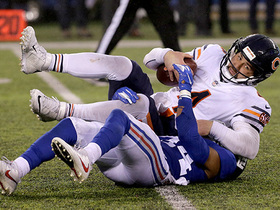 New York Giants cornerback Grant Haley rushes through the line to sack Chicago Bears quarterback Chase Daniel. 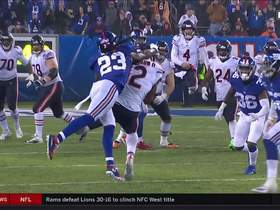 Chicago Bears running back Tarik Cohen runs right past New York Giants safety Landon Collins for a clutch 23-yard gain. 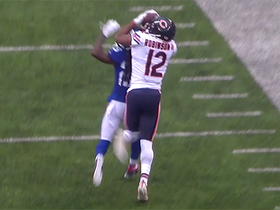 Chicago Bears running back Tarik Cohen tracks down this deep pass for a 46-yard completion.